Muhammad Sabri Sahrir (Assoc. 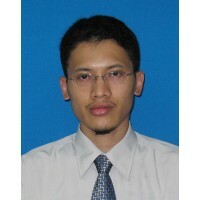 Prof. Dr) is currently an academic staff at International Islamic University Malaysia (IIUM). His research interests are curriculum development and evaluation, educational technology, and teaching Arabic as a foreign language. 2018 - Present Developing metacognitive strategies framework for sustainable learning in enhancing graduate employability through education 4.0 among Malaysian higher education learners. 09 October 2017 Silver Medal, PECIPTA 2017. UniSZA and MoHE - National level. 27 September 2017 Gold Medal, International University Carnival on E-Learning (IUCEl 2017). USIM, MoHE and MEIPTA - National level. 18 February 2017 Bronze Medal, Malaysia Technology Expo (MTE 2017). Malaysian Association of Research Scientists (MARS) - National level. 20 February 2016 Bronze Medal, Malaysia Technology Expo 2016. Malaysian Association of Research Scientists (MARS) and MoHe - International level. 06 December 2015 Gold Medal of PECIPTA 2015. Ministry of Higher Education Malaysia - International level. 05 December 2014 Award for 15 years of service in IIUM. IIUM - University level. 30 November 2014 Bronze Medal, 5th Exposition on Islamic Innovation 2014 (i-INNOVA 2014). MOSTI, MoE and USIM - National level. 27 November 2014 Silver Medal, International Syariah Compliant Idea, Invention, Innovation & Design 2014 (ISCIIID 2014). UiTM and Ministry of Education - National level. 15 November 2014 Silver Medal, Brussel International INNOVA 2014. Brussels Innova, International Exhibition of Invention, Research and New Technologies - International level. 15 November 2014 Silver Medal, National University Carnival on E-Learning (NUCEL 2014). MEIPTA, UiTM and Ministry of Education - National level. 15 November 2014 Special Award, Prize of the Idea Monopoly (Belgium), Brussels INNOVA 2014. Brussels Innova 2014, International Exhibition of Invention, Research and New Technologies - International level. 14 November 2014 Best Fellow Award 2014 for Mahallah Bilal Ibn Rabah. Mahallah Level - University level. 25 March 2014 Gold Medal, National Innovation and Invention Competition Through Exhibition 2014, i-Complex' 2014. Ministry of Education and Politeknik Sultan Abdul Halim Muadzam Shah, Kedah - National level. 19 March 2014 Silver Medal, Minggu Penyelidikan dan Pertandingan Inovasi UniSZA 2014. Universiti Sultan Zainal Abidin (UniSZA), Terengganu - University level. 14 March 2013 Best Research Cluster Award 2013 (cluster member), IIUM Quality Day . IIUM - University level. 28 June 2012 Promising Researcher Award 2012, IIUM Quality Day. IIUM - University level.